Arrive, check in and discover this city on the Rhine! The ibis Düsseldorf Hauptbahnhof hotel is part of the station buildings. This means that you are just a short walk away from where you arrive or depart by train, and offers excellent connections to the airport and public transport. The hotel has 166 air-conditioned, comfortable, non-smoking rooms with 24/7 free WIFI. Almost all rooms overlook the quiet and green inner courtyard. You will enjoy the exceptional comfort of your Sweet Bed by ibis bed. 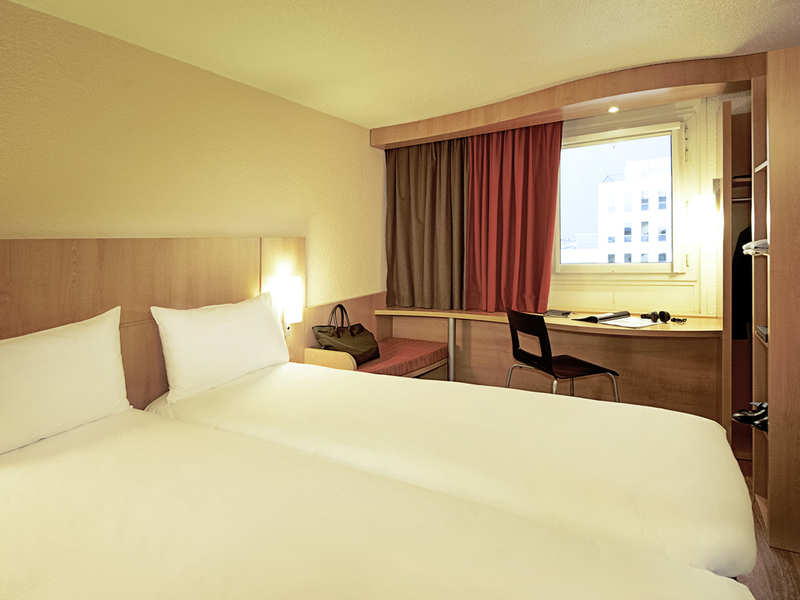 Look forward to a great night's sleep in your comfortable Sweet Bed by ibis bed: Almost all of the 166 soundproofed, air-conditioned rooms face the quiet inner courtyard. Room amenities include free WIFI and TV with a wide range of Sky channels. Our bar is always there for you: Every day, we serve beverages and refreshments, hot drinks and tasty food around the clock. Crispy paninis are available in five delicious versions, and can also be taken away! Live sporting events are shown on Sky.